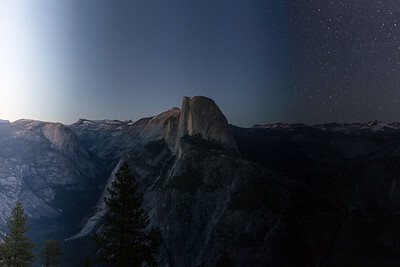 As you can tell from this gallery I really love Half Dome. 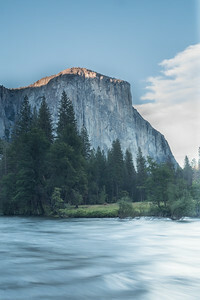 That along with all the other unique geological features within Yosemite show how amazing our planet is and how all of its natural wonders should be cherished and protected. 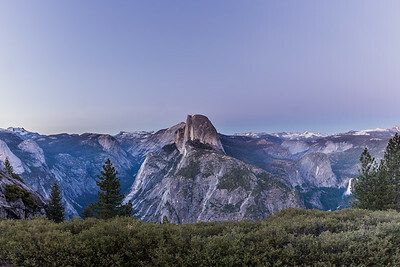 At the suggestion of another photographer I opted to sleep in my car at Glacier Point and wake up for an early morning hike to be on top of the park for sunrise. I just happened to look in my rear view mirror as I was driving towards the Sentinel Dome trailhead and saw the moon casting some epic light on one of my favorite features in Yosemite. I've always wanted to capture the same subject and show the lighting effects as the day passes. Glacier Dome seemed like a great subject to experiment with. 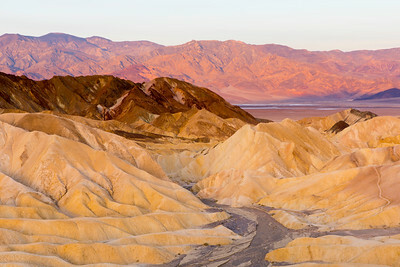 The colors of the rock formations of Zabriskie Point and Manly Beacon are cool enough, but then throw in some Alpenglow on the mountains on the other side of Death Valley and you're left with an unforgettable sunrise. 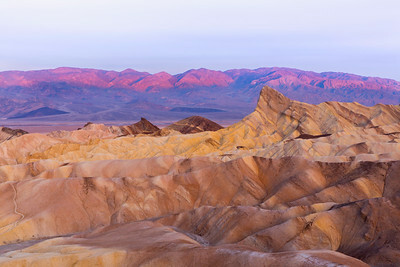 Zabriskie Point offers a color scheme similar to one is possibly the best ice cream available. 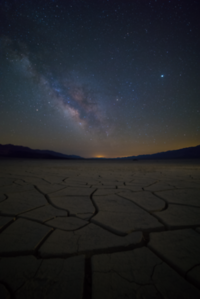 The Mud Cracks in Death Valley offer a very unique opportunity to capture a photo that no other person in the world will have taken. There will be many like it but the variety and textures of the mud cracks means that each photographer will walk away with something different, even if ever so slightly, than any other person to set foot in the mud cracks. 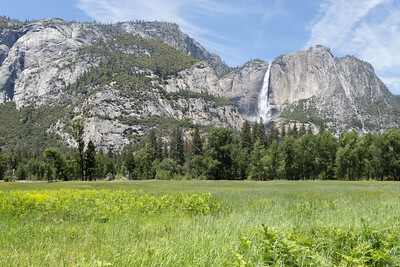 Everything in Yosemite is large on a scale you have to see to believe and that goes for the waterfalls in the park. I happened to visit the park after a winter of heavy snowfall that led to this view. El Capitan is one of those things you don't appreciate until you stand underneath it in all its glory. 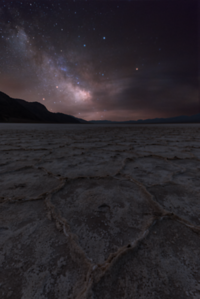 Racetrack Playa two and half hours from Furnace Creek is very much worth the trek. The subjects and textures offered here make for some of my favorite photos I've taken so far! 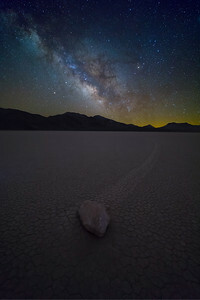 Racetrack Playa in Death Valley National Park is truly a sight to behold. These rocks, some large and some small, have travelled 100's if not maybe 1000's of feet over 100's if not 1000's of years! 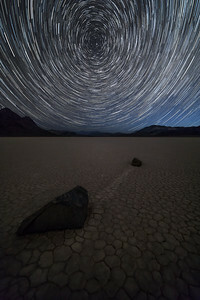 Racetrack Playa offers no shortage of amazing subjects to photograph. Shooting this subject at blue hour and using focus stacking offered me the opportunity for a super sharp foreground front to back. 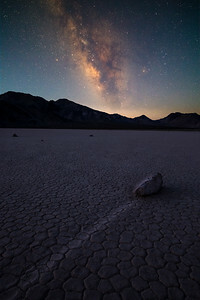 Pre-Dawn at Bad Water Basin is quite incredible, as the sky begins to lighten and the stars fade away a scene straight out of a science fiction novel begins to take shape in front of you. What was a dark nothing as far as the eye could see becomes a landscape of unique shapes created by the salt seeping up through the earth. Further proof that our planet is unique beautiful and must be preserved. 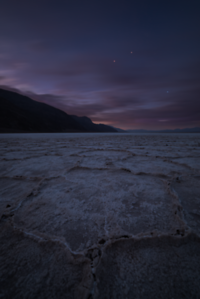 Death Valley is a truly remarkable place. A place that in some months of the year is almost un-inhabital can host such an amazing variety of landscapes as well as some of the West Coast's darkest skies... needless to say I will be back!